Hi everyone! Happy April Fool’s Day. 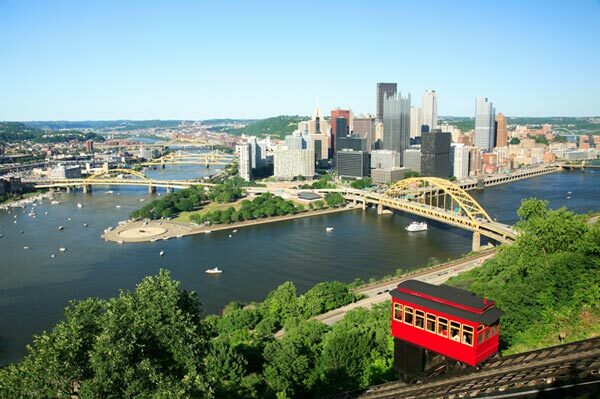 Awhile back I was contacted by Alexander who told me about a “Blogathon” event in which local bloggers from the Pittsburgh area exchange guest posts and invited to participate. Today’s the day that these posts go live! And I’m hosting a post (seen below) from Blogger Josh Croyle of “Josh’s World” whose site is at http://joshcroyle.com/. Here’s what Josh had to say about what comics he’d recommend to my readers. When asked to write a post for Geeky Sweetie, my initial thought was a review for a comic that girls might like. I noticed that there are no comic reviews on the site and figured mine would be a good addition. Marvel, DC, and the other comic publishers have this same problem. They read some statistic about how many girls are reading comics and they immediately say “holy crap, we should make comics for them!” And then they release some terrible book and wonder why it fails. Here is the secret that no one ever tells those companies: girls like comics for the same reasons that guys like them. In fact, I would imagine this rings true for video games, anime, and anything else. My females friends who read comics usually read similar things as me. So with that in mind, I thought about this post in a different way. What comics would I recommend to anyone who does not read comics? Here are a few of my favorites that would be great starting points. Watchmen-What kind of comic book fan would I be if I did not start out mentioning Alan Moore’s seminal work? If you are a fan of dystopian futures and deconstructionist stories, then this book is definitely for you. Sandman-Perfect for fans of ancient mythology, especially Greek. Plus anyone who loves dreams and the heavy questions they can bring up. Neil Gaiman weaves a fantastic tale about the world of dreams and the nature of reality. Superman: Birthright–Mark Waid does a great job of reimagining the Man of Steel’s origin. If you have always been intrigued by Superman and did not know where to start, then here is a great option. Marvel’s Civil War-You love the Marvel movies. You are excited about seeing Captain America: Civil War, then definitely check out the comic that inspired it. Strangers in Paradise–Terry Moore writes an amazing story about a love triangle. At first it seems pretty straightforward, but then assassins, crime lords, and crazy connections become the norm. What makes it great though is the way Moore writes his characters. By the end of the series, you absolutely love all of them. You see faults in them and yet you realize they are people. If you are only going to read one comic from this short list, then just pick up the first volume and let me know how long it takes you to rush out to pick up the second.